Valentin de Boulogne (baptised 3 January 1591 – died 19 August 1632) was a French painter. He is also known as Le Valentin, his real name was Jean Valentin. Later in life, Valentin went to Rome to study. In Rome, he was under the influence of Michelangelo Merisi da Caravaggio and Bartolomeo Manfredi. Valentin's teacher was Simon Vouet. Soldiers Playing Cards and Dice (The Cheats), c. 1618-1620, by Valentin de Boulogne. 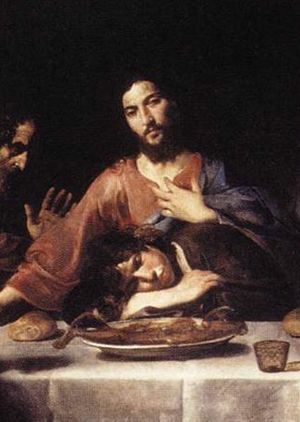 Valentin de Boulogne Facts for Kids. Kiddle Encyclopedia.